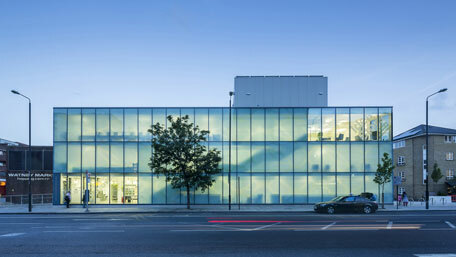 Tower Hamlets has opened the latest of its innovative Idea Stores in Watney Market, designed by architects Bisset Adams to be a vibrant mix of services. Since the first Idea Store opened in Bow a decade ago, the ground-breaking mix of library, learning and other services has gone from strength to strength, with local people flocking to use them for reading, learning, information, and business. 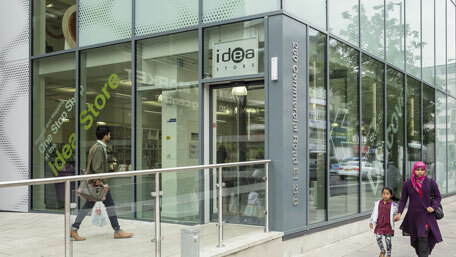 Idea Store Watney Market in Commercial Road will replace Watney Market Library and be larger than the existing library, based on three floors and provide a wider range of services. It is seen as the first of a new generation of Idea Store, based on the concept of a ‘marketplace of information’ with the library and council services, as well as a range of partners for the council, offering services with the aim of improving local people’s health and employment. The new £4.5 million Idea Store, which is jointly funded by the Big Lottery Fund, will include an integrated One Stop Shop where residents can access council services, as well as space for adult and family learning. 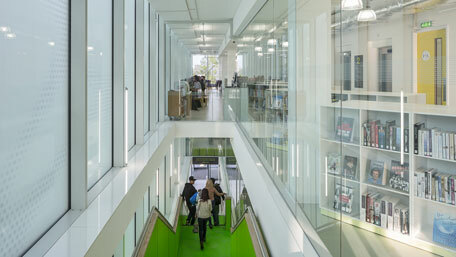 The building is designed as an accessible and highly visible centre for the community, with a landmark high performance glazed façade and green staircase visible externally and inviting visitors to the upper floors with library services. Internally, the Idea Store is designed to be highly flexible; the ground floor ‘marketplace’ can be used for a range of different services and partners. As specialist library designers, Bisset Adams has create a range of study and event space, including children’s storytime and activity space. The new Idea Store will be distinguished by its green credentials and is the first public eco building in Tower Hamlets, with a living green roof planted with vegetation which will absorb rainwater, providing insulation and creating a habitat for wildlife. The building will also have concrete plates which will allow the Idea Store to heat up and cool down without the use of an air conditioning system and will be quadruple glazed, insulating the building efficiently. Sensors will be able to identify extremes in temperature and set heating and cooling at optimum levels. Solar panels have also been incorporated into the design. Link to the Tower Hamlets Idea Store page.